Chhattisgarh, more popularly confined to KBK-Kandhamal region. warrior music by Ravana. It is depicted in Sarala Das’s Purana . form in ancient and medieval period by various kings & kingdoms. many parts of Orissa, Andhra Pradesh and Chhattisgarh. played by both tribal and non-tribal people since centuries. pockets of India, predominantly in KBK region. unique form of Indian dance form in the national level. backward pockets of Orissa, Andhra Pradesh and Chhattisgarh. losing this rarest and unique Ghumura dance forever. non-tribal languages in one specific region of KBK-Kandhamal-Boudh). Kalam reached the Police Ground here by a helicopter at around 3.50 pm. First of all he inaugurated the Primary teachers’ Bhawan and then inaugurated the 3rd Kalahandi Utsav Ghumura 2010. “I would like to greet the District Collector RS Gopalan, Minister of Labour and Employment Pushpendu Singhdeo, SP Sudha Singh, former MLA Pradipta Naik, organisers of the utsav and all the schoolchildren, teachers and parents who have come here,” said the former President. Kalam also interacted with the students and answered briefly to their questions. He said I am going to give you (students) an equation. Knowledge is equal to creativity plus righteousness in the heart and spread courage. 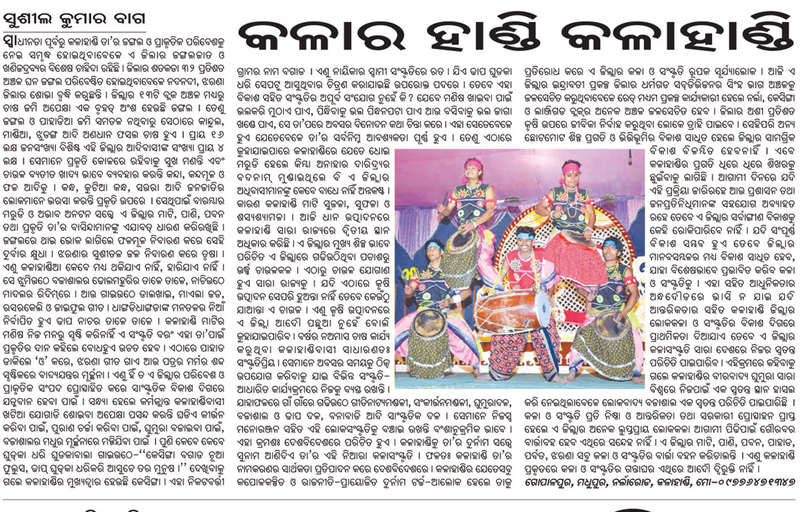 Kalam advised the organisers to launch a new project every year during Kalahandi Utsav, which will boost economic development, improve employment potential in the district. He also said the amenities available in the city like Bhubaneswar should also reach Kalahandi.